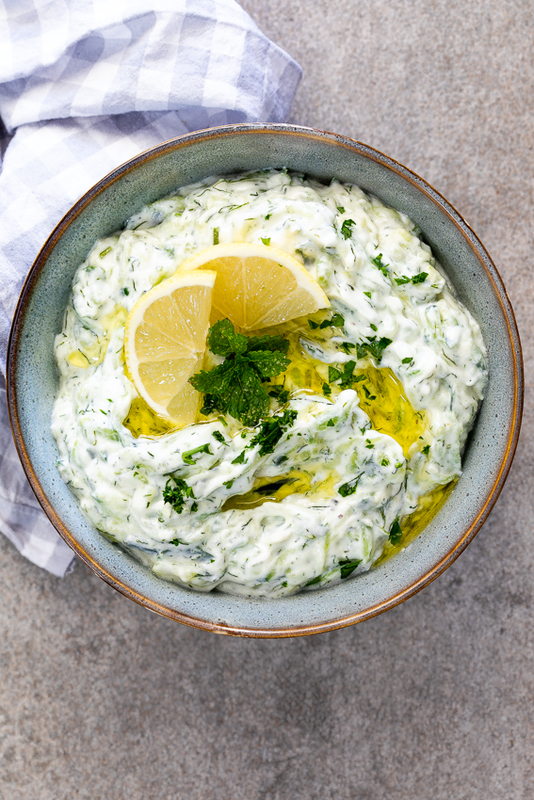 Greek Tzatziki is quick and easy to make and is perfect served with grilled pita bread as an easy meze/appetizer or served with grilled meat for dinner. 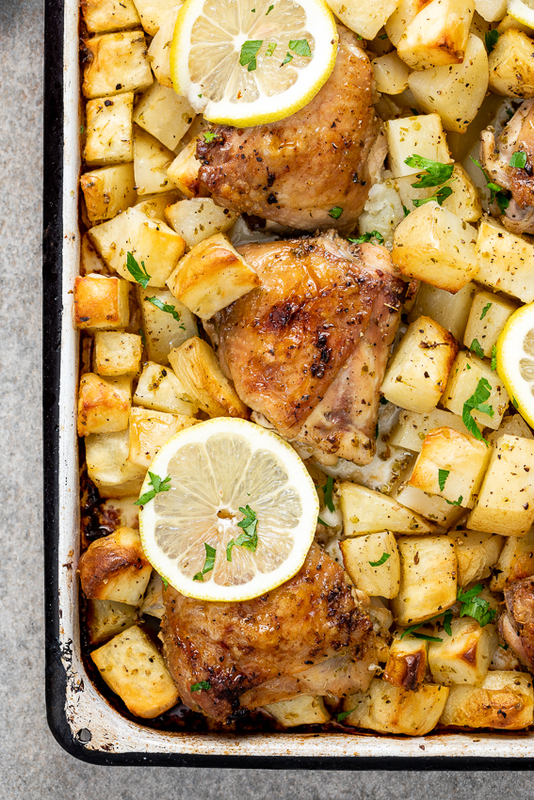 My introduction to Greek cuisine came early on in my life as my mom was absolutely obsessed with the culture. She loved everything and anything Greek and so, we ate at Greek restaurants as often as we could. Crispy fried calamari or squid heads (“Little spiders”, as I used to call them) dunked in pools of creamy Tzatziki and Skordalia (Greek potato and garlic dip) are some of my first food memories. 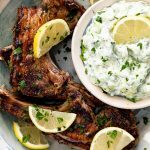 To this day Tzatziki is one of my favorite accompaniments to grilled meat or chicken and I can eat bowl after bowl of the creamy dip with grilled pita bread. 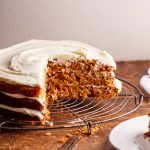 My kids love it too and if there’s Tzatziki on their plate, I know not a single crumb will be leftover. 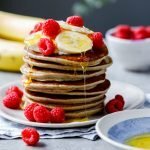 Creamy, delicious, healthy AND easy? What more could you ask for? 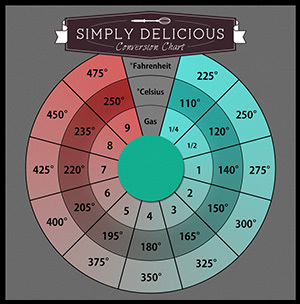 To ensure a thick, creamy sauce, make sure you use good quality Greek yogurt. Many recipes call for straining the yogurt. This is done by leaving the yogurt in a cheesecloth to drain for a few hours. However, I have found that if you use a really thick, creamy Greek yogurt, straining is not necessary. A step that can’t be missed however is straining the cucumber. Cucumber is pretty much just water and if you don’t salt and strain the cucumber, your tzatziki will be watery and thin. Combine thick Greek yogurt with strained cucumber. Add white wine vinegar or lemon juice, chopped herbs and garlic and mix well. 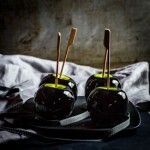 Season to taste and serve. 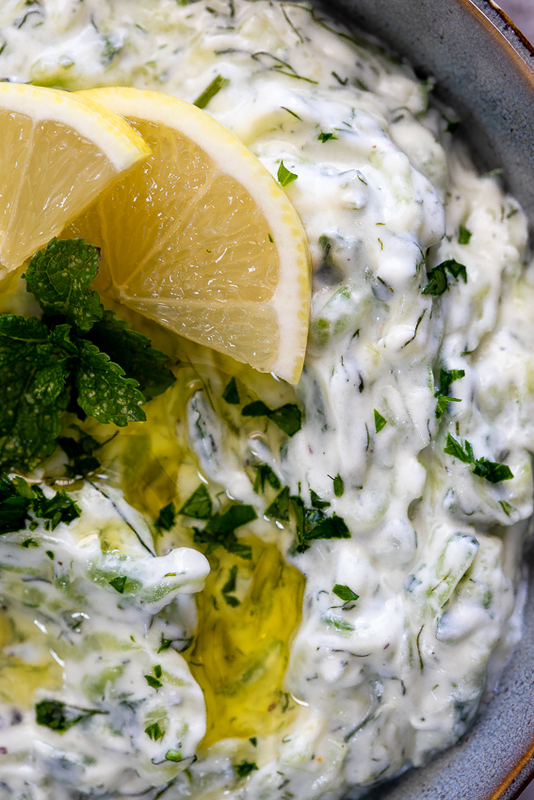 How long does homemade tzatziki last? If kept covered in the fridge, tzatziki should last approximately 1-2 weeks. 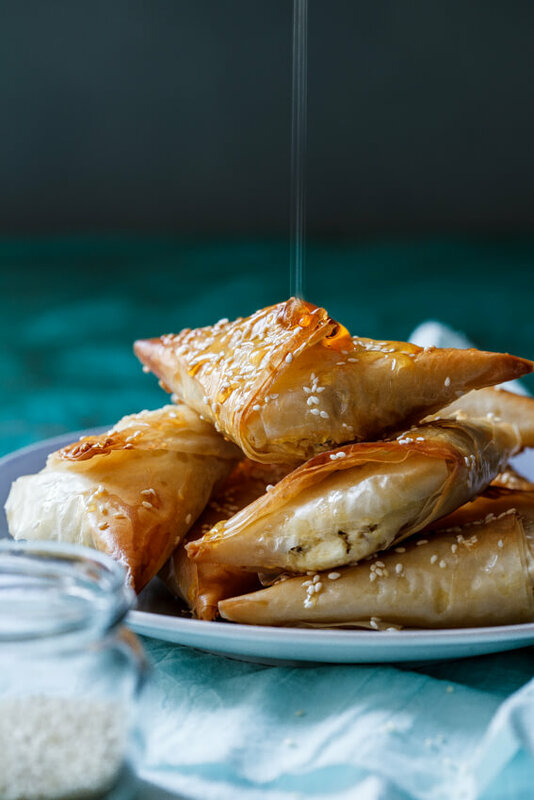 Served with pita bread or part of a meze platter. As a dip on a Crudité platter. Serve with grilled lamb chops. With chicken shawarma in easy flat bread. Mix the grated cucumber with a teaspoon of salt and set in a colander over a bowl/basin to drain for 20 minutes. Squeeze as much of the water out of the cucumber as possible. 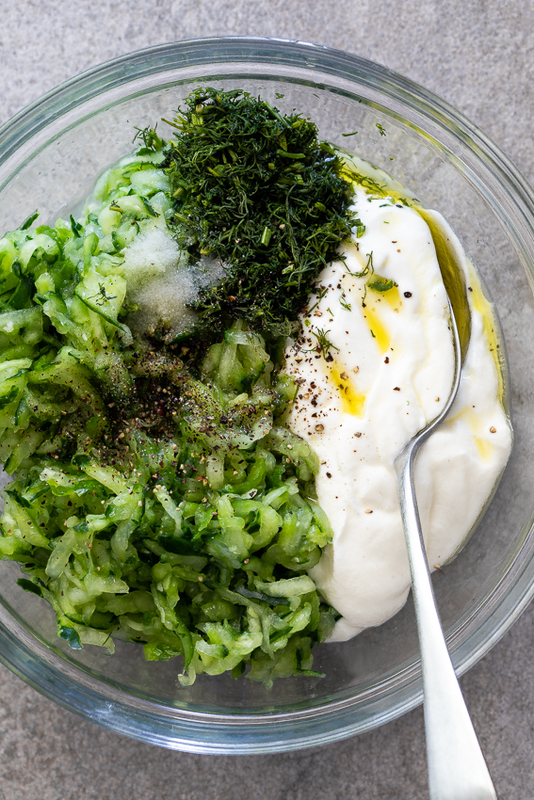 Combine the strained cucumber with the Greek yogurt, herbs, garlic, lemon juice, vinegar, oil and season with salt and pepper. Mix well and transfer to a serving bowl. 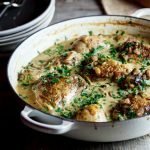 Serve with pita bread or as a side for grilled meat or chicken. 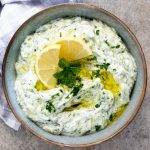 My family and I love Tzatziki but I’ve never made it before. Your recipe was simple to follow and the sauce was more delicious than our local Greek restaurant. 5 stars! Oh YAY! I’m so happy to hear that Jan.